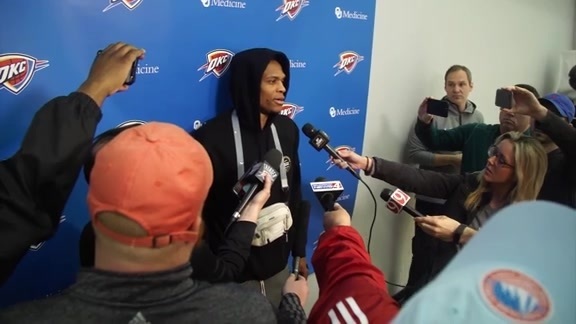 As the Thunder tried to turn the page from a home loss to the Los Angeles Lakers to its upcoming long-weekend East Coast road trip, Westbrook channeled the man who will be on most Americans’ minds on Monday: Dr. Rev. Martin Luther King, Jr. Before the Thunder takes on the New York Knicks for that matinee early next week, it has another early tip-off to deal with first. What Westbrook referenced he was looking forward to following the Thunder’s 138-128 overtime loss on Thursday is a Saturday afternoon showdown with the Philadelphia 76ers, who sit in fourth place at 30-16 in a revitalized top of the Eastern Conference. While the 76ers come into this game off of a 24-point drubbing, on the road, over its conference rival Indiana Pacers, and are shooting 47.3 percent from the field and 36.0 percent from three-point range this season as a unit. Despite knocking down an OKC-era best 22 three-pointers on Thursday against the Lakers, the Thunder can’t fall in love with trying to outscore Philadelphia from behind the arc. Instead, it must stick to the fundamentals. Against the Lakers the Thunder shot just 32.4 percent inside the paint on 37 field goal attempts, but for the season the Thunder has taken the third-most field goal attempts inside of eight feet in the NBA, converting 58 percent of them. When the Thunder gets drivers like Russell Westbrook and Paul George downhill to the basket and the shot doesn’t result in a make or an offensive rebound, that often puts the Thunder defense in a bind on the other end. While in most cases the opposition would have to pull the ball out of the net and get back, instead there are sometimes two or three Thunder players down in the deep paint, starting off behind the eight ball in transition defense from the moment the other team gets the loose ball and starts running. Leading the NBA in total steals (98), while logging career-high averages in points (26.6), 3-point makes (3.4), rebounds (8.0), and steals (2.3) per game. “It is always tough when you do not convert period. It is tougher for teams to come down and score on a set defense and you do not make shots or you do not score,” said George. As Noel alluded, all the fundamental, easy points like layups and made free throws can’t help the Thunder on defense if it doesn’t stick to its principles on that end too. One of the key ones for the team is getting out and contesting shooters, something that will be vital against marksmen like Jimmy Butler (40.3 percent from three since joining Philadelphia) and JJ Redick (38.1 percent from three). “The whole key is we have to defend the three. 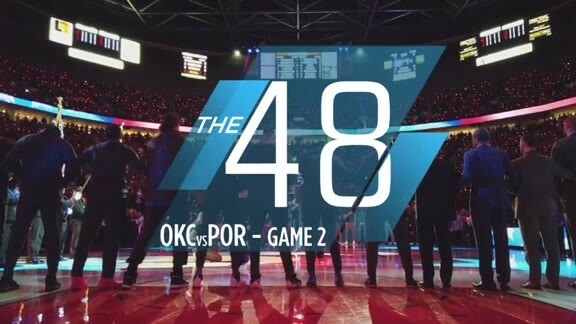 That is all it comes down to,” explained Head Coach Billy Donovan, who revealed that he thinks allowing 8-to-12 made three-pointers at a maximum is where his team’s defense needs to be on the stat sheet each night. “When you let them get into a rhythm and you let them take rhythm shots, you know, they end up getting going,” Donovan added. While less of a prolific three-point shooter, the Thunder will also be tested by 76ers center Joel Embiid, who is leading the team with 26.9 points per game to go with 13.3 rebounds, 3.5 assists and 1.98 blocks per contest. The Thunder will have to be tough around the basket on both ends, sealing off the glass to prevent second chances while at the other end going right at Embiid’s body on post ups to draw fouls and play confidently at the rim. There’s been little time in between to regroup and recharge, and hardly any practices for the Thunder during this back-and-forth stretch between home and road, but the leaders are confident it can get right. “We just have to focus in, lock back in get back to scrambling, playing with that high energy defense and taking teams out of what they want to do,” George concluded. - One of the ways the Thunder can help itself out on Saturday afternoon is to not get in foul trouble. Throughout the season various Thunder players have battled foul trouble, and recently it’s been guard Terrance Ferguson. A defensive ace that plays with unbridled energy, Ferguson will likely be tasked with chasing Redick, perpetually in motion, around dozens of screens throughout the game. 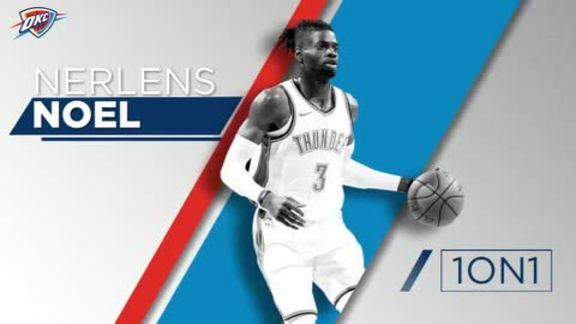 - The Thunder got an important puzzle piece back on Thursday in the form of backup center Nerlens Noel, a former Sixer himself. Noel played 12 minutes and chipped in 4 points, 2 rebounds, an assist and a block on Thursday in his first action since sustaining a concussion against the Minnesota Timberwolves five games ago. - As a whole, the Thunder’s second unit did not play up to its normal standard against the Lakers, stymying the momentum built by the starters during the opening 8 minutes of the first period. After the game, Noel acknowledged just how important that Thunder’s reserves are to maintaining a strong brand of basketball and keeping the energy up, particularly on defense, before the starters return.